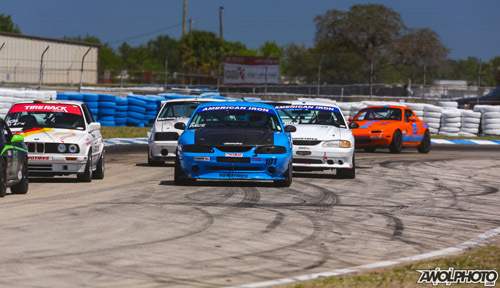 The NASA Florida regional sprint race series is offered as a fun, friendly environment with an emphasis on good sportsmanship and clean competitive racing. Licensed NASA racers compete in the FL Regional race program earning points for each sprint race over the season. NASA offers some great contingency programs for racers as well. Recognition, photos, trophies/awards are part of the fun at the podium ceremony and track social on Saturday. Year end awards/tophies are presented to qualified points champs in each NASA race series and class at the end of the race season. Qualified regional racers can shoot even higher in their goals by competing against the “Best of the Best” from all NASA Regions at the NASA National Championships each September for outstanding contingency award programs & prizes. Get started now and have fun racing with NASA! Regional races are sanctioned by NASA and rules of the racing program are in accordance with those in the current NASA Club Codes and Regulations, NASA race series rules, and Florida regional CCR. 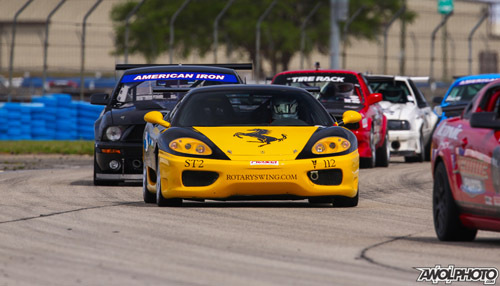 NASA FL regional sprint race series is open to sedans and sport racers in all NASA race series classes. Get more info here! Drivers must be a current member of NASA and hold a current NASA Competition License or NASA Provisional License to compete in the NASA FL race activities. NASA competition licenses are issued per calendar year race season and are valid from January through December regardless of the date of license purchase. Allow ample license processing time. Licensing details must be completed before arriving at the event. All new regional race licensing in Florida must be pre-approved by Jim VanderVliet as per this page of our website. Please do not send your paperwork to the national office or sign up for a comp eval weekend without talking to us first, thank you! 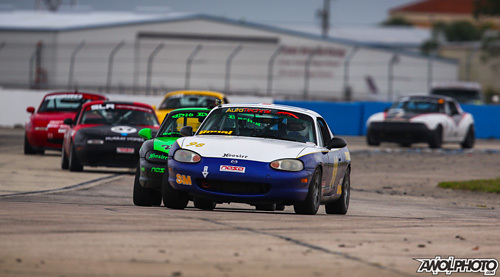 The minimum requirements for race car safety equipment and driver apparel are stated in the current NASA Club Codes and Regulations rule book. A NASA RACE CAR LOGBOOK is issued at the time of the race vehicle’s first NASA annual race car tech inspection at an approved NASA FL race tech inspection station. Appointment required. Annual race car tech inspections are due for renewal at the start of each calendar year and are documented in the NASA Race Car Logbook. An AMB transponder is required for timing & scoring purposes. Most NASA FL region events are “double” or “quadruple” weekend sprint race events (i.e. 2 to 4 sprints per weekend.) Points are earned for each sprint race/day. The “featured races” on Saturday are followed by a podium ceremony with awards presentation & driver recognition as part of the Saturday track “social”. The number of trophies/awards presented for each race class is determined by the number of starters in that race class. NASA FL usually offers several longer “enduro” races each season, often at least 2-3 hours long, by NASA’s national enduro regulations. Please click here for our enduro series details page.